Mesothelioma is a difficult diagnosis to make. The symptoms as presented are also symptoms of many more common diseases. Malignant mesothelioma makes up less than 1% of all the cancers diagnosed annually in the United States. To be given a diagnosis of malignant mesothelioma is most commonly done after extensive testing and elimination of other diseases. 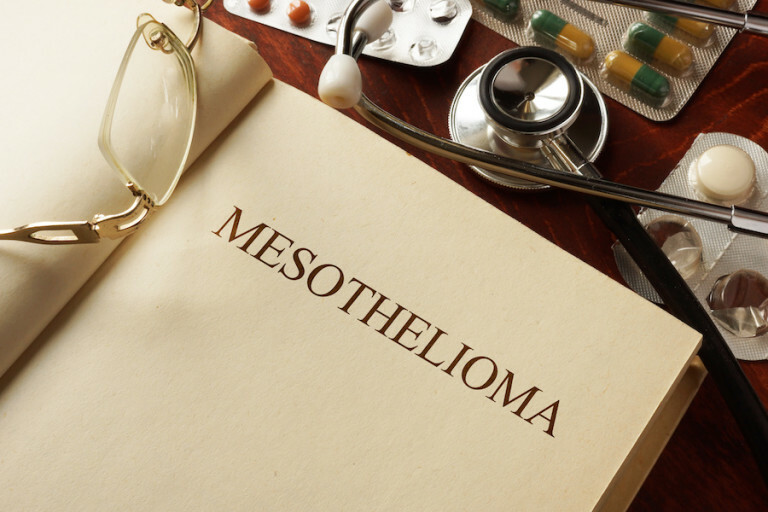 Malignant mesothelioma can be misdiagnosed, and it is recommended to get a second opinion from a mesothelioma expert at a mesothelioma center. The correct diagnosis and testing is essential to properly identify the type of mesothelioma, epithelioid, sarcomatoid, or mixed and to determine the stage of the disease and the makeup of the tumor. The initial symptoms of pleural malignant mesothelioma can be shortness of breath, back pain, cough, fatigue, weight loss or fever. The initial symptoms of peritoneal mesothelioma can be abdominal pain, bloating, diarrhea or constipation, changes in bowel habits, feeling of fullness, night sweats or fever, unexplained weight loss, nausea or vomiting, fatigue. When after initial work up and treatment a diagnosis of malignant pleural mesothelioma is suspected and referral to a mesothelioma center is made, the diagnosis is confirmed by several tests, exams, and conversations. Initially a detailed report of the symptoms, the patients past medical history and any past exposure to asbestos is conducted. Physical exam is conducted with attention to dullness to percussion on one side, decreased movement on the side of the chest involved and asymmetrical chest wall expansion during respiration. Blood tests that are ordered are specifically looking for markers in the blood. A tumor marker is a biomarker found in blood, urine or body tissues that can be elevated by the presence of cancer. Mesomark measures the amount of soluble mesothelin related peptides in the patients’ blood. It has been found that patients with mesothelioma have a higher concentration of this marker. Another marker CA-125 is also elevated with mesothelioma. SOMAmer is a blood test that can identify proteins that help identify biomarkers for mesothelioma. It also can be an indicator of how the disease is progressing. Blood tests are just one portion of the diagnosis, they cannot be relied upon solely to determine the diagnosis. Chest X-rays are a 2-dimensional view that will show the buildup of fluid in your pleural space in malignant pleural mesothelioma. Pleural effusions are often found and if no pleural effusion a pleural mass or diffuse pleural thickening is noted. A Ct scan is a 3-dimensional view which is more detailed than an x-ray. It helps to stage the disease. An MRI will show any soft tissue involvement. A Pet scan using a radiopharmaceutical drug will allow the cancer to light up showing the location of the tumor. These are all tests used by doctors to support a diagnosis of malignant mesothelioma. Pleural effusions are common in the diagnosis of malignant pleural mesothelioma. Draining of the pleural fluid and sending the fluid for testing is often done. The fluid is sent to undergo cytological testing. Cytology is the study of cells. The pathologist will study the cells under the microscope looking for characteristics indicative of mesothelioma. Features of the fluid that are indicative of malignant mesothelioma are a low nuclear to cytoplasm ratio. The cells edges are scalloped. Sarcomatoid cells are not usually found in the fluid. Pleural fluid has high doses of hyaluronic acid levels indicative of mesothelioma. A biopsy of the pleura and the mediastinal lymph nodes is often performed to aid in a diagnosis. Video Assisted Thoracic Surgery- VATS- and the tissue that is obtained is adequate in approximately 98% of cases to confirm the diagnosis. Thoracentesis plus pleural fluid analyzed by cytology in 26% of cases. Thoracentesis plus a pleural biopsy in 39% of cases. Immunohistochemistry panels is the process of selectively imaging antigens- proteins- in cells of the tissue section by use of markers that are either fluorescent dyes or enzymes. A panel of markers is needed for malignant mesothelioma as there is no one marker that is sensitive enough for the diagnosis. Pancytokeratin stains will stain positive in most cases of mesothelioma. Epithelioid mesothelioma commonly has the following positive markers calretinin, CK5/6, WT-1- Wilm’s tumor with nuclear staining, and D2-40 (podoplanin). WT-1 is an antigen that mesothelioma patients express within their tumor. WT-1 is a protein that regulates gene expression and causes cell growth. Mesothelioma patients can have a high level of this protein. The International Mesothelioma Interest Group- IMIG- recommends that if the cytology specimen is suspicious for malignant mesothelioma that it be followed up with a tissue biopsy. The IMIG also recommends that 2 mesothelial and 2 carcinoma markers be used in addition to panctokeratin to confirm the diagnosis. The following are some of the markers that can help confirm a malignant mesothelioma diagnosis, keratin is positive in 75 to 100% of mesothelioma diagnosis, mesothelin is positive in 100%, calretinin 100% positive and the staining shows nuclear and cytoplasmic staining, D2-40 86-100% along the cell membrane, WT-1 45-93% show mesothelioma with nuclear positivity. Diagnosing malignant pleural mesothelioma is difficult, it should be done by a multidisciplinary team at a dedicated mesothelioma center.